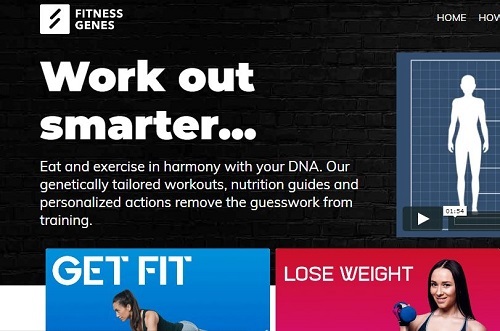 This Fitness Genes review breaks-down the best/worst features of this popular DNA test for fitness and diet plans. FitnessGenes analyzes 42 genes to make personalized diet and fitness recommendations. As a result, their fitness and diet recommendations are very detailed with lots of advice on how to optimize your nutritional intake and workout routine. 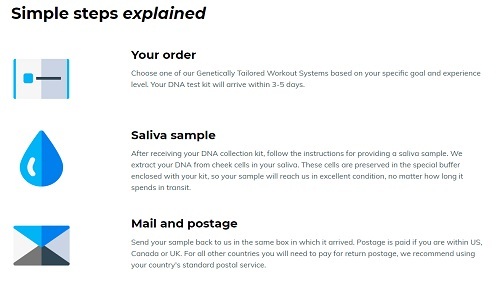 Even better, if you’ve already taken a test with AncestryDNA or 23andMe, you don’t have to order the test kit because FitnessGenes accepts a raw DNA data upload from both services. You’ll get the same personally tailored insights as other test-takers. Let’s dive deeper into who this test is best suited for and whether it’s worth buying or not. Unlike most DNA fitness and diet tests, FitnessGenes does not rely on Helix to run tests and then get the raw data for analysis. They do their own testing in-house. As I mentioned, they test 42 genes. This is not as comprehensive as Helix’s exome sequencing test which analyzes all your genes, but it’s enough to provide useful insights into your fitness and nutritional needs. While the report provides several insights into how you should workout and what you should eat, it only gives you a 1-week workout plan. If you want a longer-term plan, then you have to pay extra. If you are looking for a test that goes beyond generic advice to provide highly customized recommendations, FitnessGenes is a great choice. The FitnessGenes test gives you a wealth of information you can use to improve your diet and fitness. Their nutrition and workout insights are very detailed. The report goes beyond basic dietary advice; you also learn a great deal about your sleep cycle/pattern, alcohol sensitivity, snacking and other lifestyle factors that could affect your level of fitness. It even recommends which diet supplements you should be taking. The workout part of the report is just as comprehensive. You discover things like your muscle fiber profile, the ideal rest period and the best types of exercises. Remember, you don’t have to order the kit if you have tested with 23andMe or AncestryDNA. Just go to FitnessGenes.com and transfer your raw DNA data. If you haven’t taken a DNA test yet, then you’ll have to order the kit. It will arrive at your home in 3-5 days. Take a sample as per the instructions and send it back using the same box it came in. Postage is paid so you don’t have to pay anything to send the sample back. 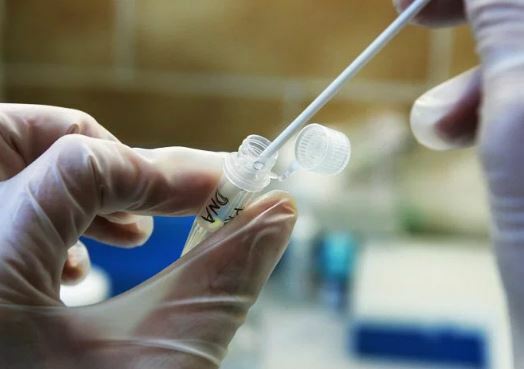 Your results will be ready in about 2 to 3 weeks after the lab receives your sample, which is half the time it takes Helix-based fitness tests. You’ll receive an email with a link to a secure member’s area where you can view your DNA report. Personalized insights: Genetically-tailored recommendations for your diet and fitness as well as other factors like sleep, caffeine, alcohol and energy levels. Actionable recommendations: Practical advice that you can apply immediately to your diet and workout plans. These recommendations are based on the gene variants found in your DNA. Personalized recipes: Includes a nutritional guide with advice on supplements, macronutrient ratios, amount of calories and meal timing. You also get a collection of recipes that are tailored to your DNA, personal preferences and any sensitivities/intolerances you have. If you want to see all that the lab found and not just the summaries, the report includes an analysis of every gene they tested. In addition to all the above, you also get a 1-week sample workout plan. If you like it, you can pay for a longer plan that is customized to your fitness goals. In-depth, personalized insights. It really feels like the report is written just for you. That’s because it is. They make recommendations based on your unique genetic profile. It’s not just generic advice. Practical advice. It’s one thing to know that you have a gene that makes your body take in more fat and it’s another to know what you need to do about it. FitnessGenes tells you what they have found in your DNA and gives you practical recommendations based on that. They accept 23andMe and AncestryDNA data. If you’ve tested with one of these companies, you’ll save quite a bit of money and time. Access to a Fitness Coach: You also get access to a fitness coach to guide you through any questions you might have. My main gripe is that they don’t include a complete workout plan in the report. You only get a 1-week teaser. If you want more, you have to pay extra. On the other hand, you will not find any other company offering DNA-based workout plans as comprehensive and as personalized as those offered by FitnessGenes. For anyone truly serious about using DNA information to achieve their fitness potential, the premium plans are perfect. FitnessGenes goes beyond what most other DNA fitness and diet testing companies provide. Their report is full of useful insights and recommendations that will help you eat better, lose weight and get fitter. I hope this Fitness Genes review was helpful. If you have a question, leave a comment below.